​A Grimoire of Astrological Magic … or "Please Bring Leopard Fat!" ​Picatrix is a 1000-year-old grimoire of astrological magic, originally written in Arabic but translated into Spanish and Latin in the 13th century. Picatrix attempted to bring together and rationalise many earlier works and went on to become a highly influential book in the Renaissance and later. Chris Mitchell will look at this ancient tome which promises to help you find true love, summon demons and forge magical talismans using everyday ingredients such as diamonds and leopard fat, and we'll have a look at some related charts too. It attempts a certainty that modern astrologers - of which Chris is one - may find alluring. In our more psychological and technological outlook, returning to ideas such as 'petitioning the stars' may also be a useful approach. Chris is a graduate of the Astrologos Medieval Astrology course has an MA in Cultural Astronomy and Astrology from Bath Spa University and is currently working on a PhD at Leicester University on the introduction of astrology into England. He will be familiar to many of you from previous entertaining and insightful talks he has presented for us. This an opportunity for you to find out how Aquarius Severn is run, give us feedback and make suggestions. All welcome. Attend the AGM and entrance to this evening's video lecture is half price! The committee members will give their annual report on the society's activities and finances, whilst subscriptions and entry charges will be set and officers for the forthcoming year elected (through an online members-only vote). Graham Boston, Kris Lee and Pamela Armstrong have indicated their willingness to stand for election again. You may be just the person to help run Aquarius Severn! If you are a member, please consider joining us this year as Kris and Graham have announced that they will both be stepping down in 2020 after a combined 40 years of service - though they plan to still be around to give support if needed. Email the committee or phone one of us to discuss. This evening's talk will be a video lecture given by renowned astrologer Geoffrey Cornelius at the 2018 Astrological Association Conference, followed by a facilitated discussion on the subject of Daimons - understood in ancient Greece to be both lesser deities and Guiding Spirits. "At the brilliant centre of our craft is the ancient concept of an intelligent and volitional universe, continuously in league with the microcosm of the soul. We look at the troubled history of the daimon, its implications for consciousness, and its faltering recovery in the self-narrative of modern astrology." Join us for this hour-long video followed by a social break then a facilitated discussion on the topic with Kris, Graham and Pamela. Geoffrey Cornelius M.A. is a former President of the Astrological Lodge of London, and in 1983 he co-founded the Company of Astrologers with Maggie Hyde and other leading practitioners. He is also the author of The Moment of Astrology – Origins in Divination and is dedicated to the promotion of astrology in education. Jodey Collorick, who will be giving this talk, has been practising astrology since the early 1990s and has spoken to us a number of times. He originally studied with the Company of Astrologers in London and has a particular interest in horary and divinatory astrology. Join us at our annual winter meal at The Hollow Bottom in Guiting Power, for good food, astrological conversation and some mystery birth charts! 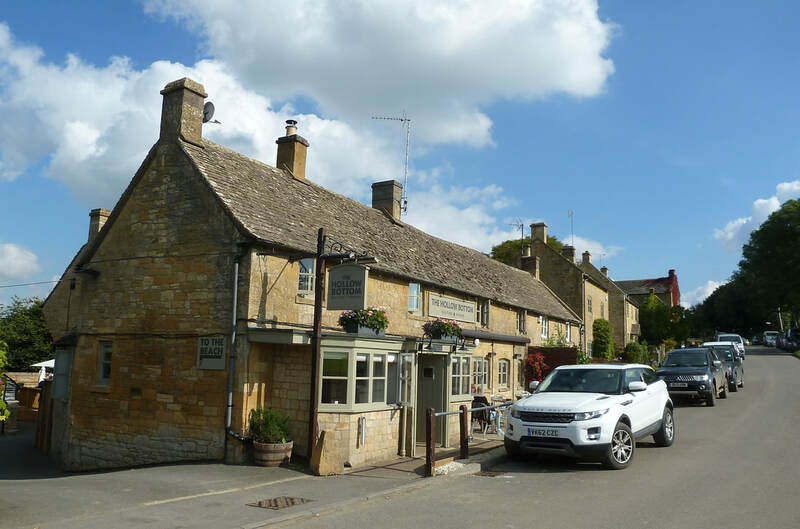 Afterwards, weather permitting, we will have a short walk around the village, one of the most unspoilt in the Cotswolds, and hear a little of its interesting history. There is a choice of roasts and other options including a fish course and two vegetarian dishes. A sample menu is on the pub's website: select "Hollow Chilled Sundays" from the menu. Please click the link in the yellow panel below (if it doesn't appear you may need to enable popups for this page) and complete the form by Thursday 24th at the latest. You will be asked for a non-returnable deposit of £10.00. Please bring cash on the day for the balance of your meal, and if you would like to tip the staff. Check this page before driving as we may cancel the event if conditions are dangerous. Join us at the turn of the year to look at the year ahead from an astrological perspective. After a look back at 2018, we'll present the main astrological events for 2019. Uranus will be fully landed in Taurus from early March. There is quite a Neptunian theme for the year as Jupiter makes several squares to it, usually accompanied by a sextile from Saturn to Neptune. And planets will be piling up in Capricorn as we reach the end of the year, with Saturn approaching a conjunction with Pluto, something which last occurred in 1982. We hope for a clear night on 21 January for a total lunar eclipse, though you'll have to set your alarm ! As ever we will hope to draw some positive connections with the astrology in our own lives. We continue our occasional series looking at the meaning of the houses in the astrological chart. This time the focus is on the fourth and ninth houses, which are related to the IC-MC axis, the lowest and highest points of a chart. We will introduce the different and often opposing areas of life these houses represent. The fourth house is about what and where we feel 'at home' either physically or psychologically, security, roots and ancestry. The tenth house is arguably the most 'out there' part of the chart, showing our public activities and what we are - or would like to be - recognised for. Planets in or transiting these houses place significant emphasis on how we experience them. ​We'll have charts of some well-known individuals and then consider the possible interpretation of these houses in our own charts. Coming up to a Saturn transit? Pluto crossing your Midheaven? Decoding the hidden messages of outer planet transits helps you navigate major life-changes more successfully. Astrologer, counsellor and author of over 50 books on astrology and related subjects Teresa Moorey is our guide on the path to wisdom and fulfilment. Marriage, illness, divorce, spiritual breakdown/breakthroughs, sudden opportunities, career changes and personal transformations are the kinds of changes we go through when the outer planets: Jupiter; Saturn; Uranus; Neptune and Pluto, are particularly active in our birth charts. Teresa weill use examples from well-known people as well as members of the audience. Teresa Moorey MA, RMANM, SQHP, DF Astrol.S has been an astrologer for over 30 years. She has written more than 50 books on esoteric subjects and works in private practice as a hypnotherapist and counsellor. She also writes regularly for Kindred Spirit, Chat It's Fate and Spirit & Destiny magazines, and is available for private astrological consultation. Rather than being anxiety-provoking, astrology can draw out ways to avoid, manage or delay these conditions. Sue will introduce some basics of medical astrology, a discipline with an ancient pedigree. For centuries doctors were expected to be using astrology in their medical practice - but it is still a useful tool in the modern world once you know where to look in the birth chart. For example there are various forms of heart disease and millions live with them. Dementia can have different causes too and is becoming so common that perhaps all of ours lives will be touched by it through people we know, even though we may escape it personally. Despite these conditions being so common, astrological significators are not hard to find. Solar Returns are back and making a revival! Which Returns are the most important? How do they show the bigger pattern of your life? When do they actually begin? How can you link events today to past Returns? In this recording of a webinar made earlier this year, Frank shares how best to read these ‘year ahead’ charts, as well as tips for getting the most reliable information from this ancient technique. All welcome to this event, though a basic knowledge of astrological terminology would be advisable. To cast your Solar Return before the talks you don't need any special astrological software - just go to www.astro.com log in, enter your birth details to show your natal (birth) chart, then choose Free Horoscopes Drawings & Calculations > Extended Chart Selection and select Solar Return chart from the 'Round' chart option. Frank has built an eclectic career as the writer of a dozen books (including Getting to the Heart of Your Chart and Palmistry 4 Today), a consultant astrologer and palmist, a researcher of birth data, and the Principal of the London School of Astrology. In 2012, Frank was the youngest recipient of a lifetime award from the Astrological Association, and a writing honour from ISAR and a Regulus Award nomination have since followed. 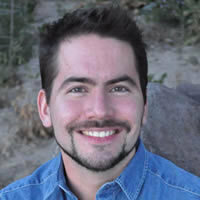 Frank has written for The Mountain Astrologer since 2008 and guest edited the magazine a number of times. His latest books are The Solar Arc Handbook and The Book of Music Horoscopes. Join us for a summer evening's stroll around the viillage of Prestbury, listed in the Doomsday Book as Presteberie and said to be one of England's most haunted villages. The 1.5m circular walk on flat ground will start at The Royal Oak in The Burgage (free parking available) and take in a panoramic view of Cheltenham Racecourse, soft drinks at a surprise location en-route and a visit to St. Mary's Churchyard. There will be plenty of astrological conversation and you can learn more about the history of this charming village (and its ghosts!). As we will be walking on footpaths as well as pavements please bring appropriate footwear. We will then have a meal in the restaurant at The Royal Oak. Gluten-free, and vegetarian options are available (see below). All welcome, including those who haven't been to any of our talks or other events before. Later on, clouds permitting of course, we may be able to see Jupiter, Saturn and Mars in the southern night sky. Meet at The Royal Oak, The Burgage, Prestbury, Cheltenham GL52 3DL Prestbury is located approximately 2 miles north of Cheltenham town centre (see Google map above). Join us at 6.30pm for the walk, or 7.30pm for the meal. There is free on-street parking close to the pub, as well as the pub's own parking area on the other side of the street. Uranus moved into Aries in 2010 and for several years was also making a long series of square aspects with Pluto. These have indeed been 'interesting times'. In 2018 the planet of change, revolution and unconventionality begins its transition into Taurus, moving from a sign of cardinal fire to one of fixed earth. This will be a facilitated discussion looking at the power of Uranus and its potential for change as this galvanising planet transitions between these two very different astrological signs. We will also consider the impact of Uranus transiting our own charts as it makes this move. OUR APOLOGIES for the late cancellation of this talk. Image credit: Wikimedia Commons users Szczureq/kheider, along with NASA. When a new Solar System body is discovered, clues to the astrological meaning can be found by looking at a range of factors, but primarily come from studying the planet in a large number of charts to find common themes. Sedna was discovered in 2003 and it has a huge highly elliptical (egg-shaped) orbit of 11,406 Earth years and lies out past all the other planets, even at its closest point. Along the way we’ll discover the evolutionary power of the ‘candidate dwarf planet’ and learn of the profound implications for society in the coming years as Sedna approaches her closest point to Earth later this century in the 2070s. We are pleased to welcome astrologer Alan Clay all the way from New Zealand. For over 30 years Alan has conducted deep research into people through his work as a clown and a clown teacher. He is researching Sedna, the new outer limit of the Solar System, which includes comprehensive aspect analysis using all the new dwarf planets. A Woodland Healing Experience led by Maxine Smillie. Learn how to open to the spirit of nature and care for the Earth shamanically whilst refreshing your body, mind and spirit. All welcome, small group. Our annual midsummer field trip takes place this year in a private wood in Monmouthshire (about an hour from Cheltenham), belonging to Maxine Smillie, one of the UK's most respected shamanic healers. Maxine says: "There is an abundance of scientific evidence that being out in nature results in enhanced wellbeing. Nature reflects back to us our natural cycles with we many of us have become out of sync with. We harm our inner environment and the planetary environment when we close to the beauty which surrounds us. During our time together we will explore simple practices of this land which will help us to re-connect with the spirit in ourselves and with the spirit of trees, listening to the wisdom that is there. For example, people use the term 'grounding', but how do we do it and how do we know when we are grounded? The regenerating woodland in which we will spend a few hours exploring, laughing and drinking tea will be our partner for the day." All welcome. This is one of our non-astrological events so no astrological knowledge or experience is necessary. Bring a packed lunch, good footwear, waterproofs, sunscreen, water etc. After 3pm there will be the option to decamp to a cafe near Ross-on-Wye for afternoon tea. Maxine Smillie has been a shamanic practitioner and healer since the 1980s and has conducted ceremonies in Europe, China, the USA and Mexico. For more about Maxine's work see www.shamaniclife.co.uk. Meet at 11.30am at Cross Ash Primary School, Cross Ash, Monmouthshire, NP7 8PL (Google Map Link: https://goo.gl/maps/8ygH3Xdpwow). As the woodland has limited car parking spaces we will lift-share from here. From the second car park there is a 20 minute walk to the wood, with one small incline for anyone with mobility issues or chest problems. Advance bookings only. Members £8, non-members £10. To book your place, please pay using the button below. We will be in touch with you by email before the day. Non-members of Aquarius Severn are welcome. All proceeds from Maxine’s Shamanic work go towards the upkeep of the woodland sanctuary, which she has placed in a Trust so that no one can ever owns this small piece of the Earth again. ​Venus symbolises beauty, love and fertility but it is also the inner planet that acts as a trigger for major events. Its importance in the birth chart and in mundane charts should never be underestimated. Venus will be in Cancer, opposite Pluto, so a good time to be examining the deeper aspects of this planet's potential. Justin Martin is an astrologer living in Aylesbury, Buckinghamshire. He has a certificate in astrology from the Faculty of Astrological Studies and worked as a part-time astrologer for the ten years he lived in Bournemouth, which he managed around his full-time job. He has periodically taught classes and been a speaker at the Windsor astrology club and at the Beaconsfield astrology group. Justin accurately predicted the later-than-expected birth date of Prince George, son of the Duke and Duchess of Cambridge, as well as his niece's birth date, which doctors said would be the 1st of June, when in fact she arrived on the 20th. Join us to set out at 6pm for a walk around part of Misarden Park, or at 7pm for a meal at The Carpenter's Arms. All are welcome, including those who haven't been to one of our talks or events before. Note, the walk does involve a steep climb. The emphasis is on socialising, but we will have a few astrological charts to look and maybe raise a glass to the arrival of Uranus in Taurus ! Weather permitting we should be able to see Venus and Jupiter at dusk. 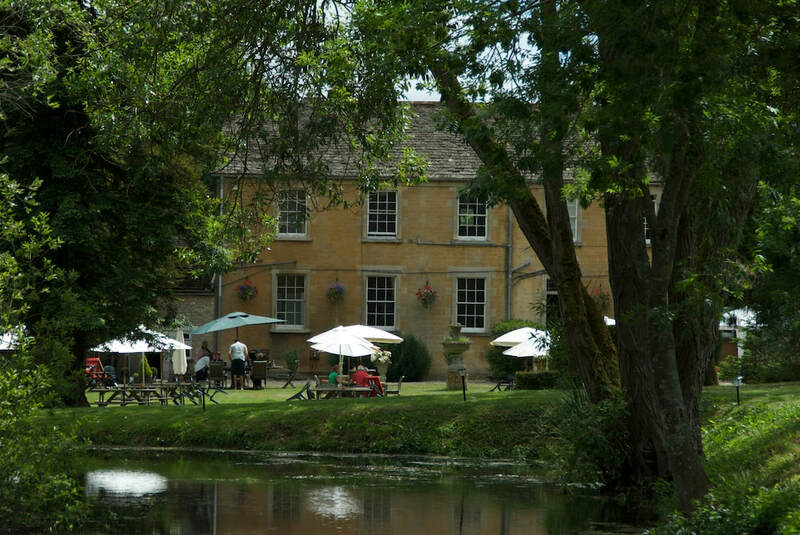 "The Carps" is a traditional 17th century Cotswold pub, set in a picturesque village and recently featured in the BBC dramatisation of Cider with Rosie. Miserden is 10 miles south of Cheltenham as shown on this map. If the weather forecast is poor, please check here on the day to check the walk is still happening. In this talk John Wadsworth will be sharing the fruits of his many years working with the Zodiac as a wheel of initiation, transformation and healing. This talk coincides with the launch of John's new book, 'Your Zodiac Soul', which is published by Orion Spring in March 2018. Rather than focussing on the zodiac signs as being indicative of twelve personality types, John will present the zodiac as a complete, alchemical emblem of the soul, offering twelve transformational gateways in the ever-turning wheel of life. This idea lay at the heart of the mystery school traditions of ancient Greece and Rome. Treating the zodiac in the manner of a medicine wheel that we all possess complete and whole within the psyche, John will take us on an journey to restore the power and integrity of its twelve archetypal images and demonstrate how we can engage with the wheel practically and alchemically in our everyday lives. John became a professional astrologer in 1993, following a profound experience of communion with the night sky, which opened his mind to the poetry of the cosmos and radically altered his worldview. He has been teaching astrology since 2000, running the Kairos School of Astrology in Glastonbury. He is known as an innovator in the field, engaging with astrology primarily as an experiential practice capable of facilitating profound healing and transformation, and is the founder of The Alchemical Journey, a contemporary zodiac mystery school, based in Glastonbury. This work forms the basis of his book, Your Zodiac Soul, due for publication in March 2018. John holds an MA in Cultural Astronomy & Astrology from Bath Spa University. He also teaches night-sky astronomy and runs a mobile planetarium for schools. The officers of the society will give their annual report on its activities and finances, subscriptions and entry charges will be set and officers for the forthcoming year elected, through an online members-only vote. Graham Boston, Kris Lee and Pamela Armstrong have indicated their willingness to stand for election again. This an opportunity for you to give us feedback and make suggestions. All are welcome, but only members may vote on any item where the committee deem a vote necessary. Each change of sign in the Great Ages brings new dominant myths and themes which perpetuate for the rest of history and mark a new consciousness emerging. What seeds are now emerging that might form the dominant themes for the Age of Aquarius and resonate throughout the rest of history? What if astrology has a key role to play in the new emerging global consciousness playing out through the internet? Looking at recent developments in scientific thinking as well as current cultural trends we will be tracing the zodiac as an evolutionary DNA playing out throughout history culminating in our current creation of a collective brain. Nick Oakley-Smith has been practising astrology for over thirty years having studied originally with the Faculty of Astrological Studies and has been a student of the I-Ching for a similar length of time. He uses his knowledge of both to train senior leaders in major international organisations from fashion and luxury to accountancy and the legal sector as well as working for the European Investment Bank. He has been quietly seeding astrology into the leadership of international firms for many years. He also mentors young offenders and trains other mentors for a charity called Key4Life. Justin Martin's talk was cancelled because of snow and rescheduled to 7 June. A recorded video webinar with Kira Sutherland. Kira takes us on a journey through the 4 elements and their impact on health, exploring the range of experience related to each element and how each can hinder or help with health issues. How can we utilize our elemental profile from our Natal chart to live a healthier, more balanced life? The lecture explores the gifts and lessons of each element will and aims to give you both theory of medical astrology and application for daily life. There should also be time for discussion of the ideas presented. 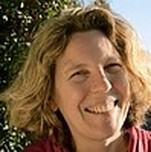 Kira Sutherland is an Australian Naturopath, Nutritionist, Herbalist and Astrologer. She divides her time between clients, writing and lecturing on health, wellbeing and medical astrology. Known for her vibrant, straight forward teaching style, Kira has lectured in Medical Astrology both within Australia and internationally. For our Midwinter jolly, we are returning to The Gardeners Arms, where we had an enjoyable lunch last year. ​All are welcome to the Aquarius Severn annual winter Saturnalia for good food, astro-chat and some mystery birthcharts to explore between courses! There is a good range of vegan, vegetarian and gluten-free options. We can order from the menu on arrival and both the Sunday and other menus are available. Do have a look at the Menus beforehand. Situated in the centre of Alderton Village in the North Cotswolds, 7 miles East of Tewkesbury & the M5, 11 miles North of Cheltenham and 8 miles South of Evesham. Leave Cheltenham northwards on the A435, passing the racecourse. Continue on the A435 for approx 8 miles, crossing several roundabouts by-passing Bishops Cleeve Village. At the Teddington Hands roundabout with the A46, take the B4077 East towards Toddington/Stow. After approx 3 miles turn left opposite a fuel garage into Alderton Village. Continue straight into the village for less than a mile until you reach the Gardeners Arms on the right-hand side. The car park entrance is immediately before the pub building. From M5 junction 9: head eastwards along the A46 signposted Evesham then at the Teddington Hands roundabout go straight on along the B4077 East signposted Toddington/Stow, picking up the route as above. We start the year with our usual nod to Janus, with a look back at how last year's astrology panned out and a look ahead at the main planetary movements for the forthcoming year. Saturn will be in its 'home' sign of Capricorn, while Uranus will be making its first foray into Taurus for seventy-six years, so some big astrological shifts may be in order. Join us as we consider the astrological perspective for 2018. With Saturn about to enter its home sign of Capricorn, we bring you an evening engaging with this down-to-earth planet as it transits through our charts. Essentially self contained in their home in Haworth, Yorkshire they sometimes struggled to come to terms with the real world. Their attitude to love and romance was both passionate and idealistic. At the same time they were the forerunners of the suffragists and believed women should be the equal of men when it came to the intellect. Their story cannot be told without mention of their troubled artist brother Branwell. The family had high hopes of him as the only male child, but he failed to achieve anything near the success of his sisters. What went wrong? A facilitated discussion on the element balance as expressed in the astrological chart. Most of us will have some elements more prominent and some less so. Sometimes one may dominate, another be unrepresented at all. 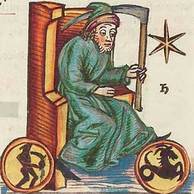 Modern astrology would be reluctant to say this represents an 'unbalanced' person, but assessing a chart's element distribution can be an immediate way of getting a grasp of a chart. But does an excess of fire make someone 'fiery' or is it more subtle than that ? Join us for some charts of some well-known folk with an imbalance of elements and then to explore how our own charts can be understood from a consideration of their element distribution - and how we can use an element imbalance to our advantage. A welcome return for Andrea Soole, who will be sharing her knowledge about Jupiter. ​Often referred to as our 'Guardian Angel', the 'Father of the Heavens' is associated with good fortune, plenty and spirit of hope. Where Jupiter falls in our chart we can often find a need for expansion and sense of faith. During the evening we will look at examples, the keywords and rulerships of Jupiter as well as looking beyond the cliché of the 'lucky planet' and explore new ways to interpret it your natal chart. We'll also be checking in with Jupiter's opposition with Uranus at the end of the month and its imminent sign change from Libra to Scorpio. You're welcome to bring your own charts for discussion. 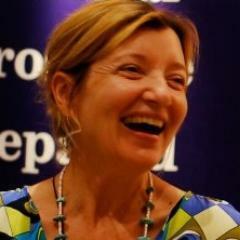 ​Andrea Soole has been a professional astrologer since 1984. She worked with Equinox Astrology Company in London and Australia. Andrea has worked as an astrological writer, adviser and promoted astrology at exhibitions throughout Australia, the UK, Ireland and the USA. She is based in Oxfordshire where she has many personal and corporate clients and regularly talks on astrology. Andrea studied astrology at the Faculty of Astrological Studies and Liz Greene's CPA lectures, was trained in the techniques of Astro*Carto*Graphy by legendary astrologer, Jim Lewis. Join us at the Kilkeney Inn at Kilkenny near Andoversford for good food, company and astrological chat. We will probably include a good look at the upcoming eclipse chart. The menu can be downloaded here and has vegetarian and gluten-free options marked. Non-members welcome. Please let us know if you are coming so we can give the pub an idea of numbers. Weather permitting we will meet in the pub car park for a circular walk including the quiet hamlet of Foxcote. Arrive at 6pm for a walk, or 7.15 for the meal, which will take place regardless of weather. The pub is situated on the A436 west of Andoversford. Click here for location map. In Jyotish (Vedic Astrology), the Panchanga (Hindu Calendar) has at its core the relationship between the Moon and the distance it has travelled from the Sun. This Sun- Moon angle points to five key themes that will always reign in our lives. Each of these angles have a unique flavour that colour our way of being. Enormous insights can be deciphered solely from the Solar-Lunar relationship, long before we have even delved into the Natal Chart! ​Sonal Sachdeva is a film-maker, new media enthusiast and an astrologer who studied under Liz Greene at the CPA. Her films deal with social issues, the environment, and the ways people from different cultures live, think and feel. In 2010 she founded a group Circle of Divine Astrology, which holds events, discussions, talks and multimedia projects in London. As modern astrologers, we're used to drawing up charts in seconds on a computer, and using numerous techniques, outer planet transits and a psychological language to work with our clients. Ours is a rich and subtle art. How, then, did medieval astrologers manage with just seven planets and five aspects? Was theirs simply a limited cut-down version of what we have available to us in modern astrology? In this talk, Chris Mitchell will demonstrate some of the richness of medieval astrology. Despite the lack of outer planets and modern techniques, medieval astrologers had a surprisingly large toolkit of methods lost to modern astrology: dignity, almutens, Arabic Parts, lunations and profections, to name but a few. The recent resurgence of modern translations of ancient texts mean these fascinating methods have been rediscovered, so find out how you can use them today to enrich your own astrological readings. Chris Mitchell has had a life-long interest in astrology, and is currently undertaking a PhD at the University of Leicester looking at Jewish and Arabic influences in English medieval astrology. He holds the Diploma in Medieval Astrology from Astrologos and has an MA in Cultural Astronomy and Astrology from Bath Spa University College. He is a regular speaker at a number of astrology groups and conferences worldwide, and has written a number of published articles both for astrological publications and the local press. Tune into Venus in Taurus with a walk, a picnic, a sculpture show and astrological conversation. Our Midsummer outing takes us to the Cotswold village of Quenington with its ancient church and the excellent biennial Fresh Air sculpture exhibition in the grounds of Quenington Rectory. It's a lovely spot, with extensive grounds on the banks of the Coln, and amazing creations from top sculptors. We will have the charts of some sculptors to look at and also consider own own responses to the artwork. Does the position of Venus in our own charts tell us about this ? Quenington is about 45mins drive from Cheltenham. Parking is on the village green and is clearly signposted. Click here for map and location of parking. Please arrive by 11.00 to start with a walk taking in some field paths and side roads around the village. About mid-day we will visit the church (internationally famous for having surviving 900yr old carvings on both north and south doorways) - also the opportunity to do some dowsing here. Please bring a picnic lunch, after which we will visit the exhibition. ​If you don't wish to bring lunch, there is a pub in the village and at the exhibition a café providing light lunches (to where we may quite likely repair for afternoon tea and cake). Entry to the exhibition is £5, payable at the entrance. The houses represent a layer of chart interpretation additional to the planets and zodiac signs. In this continuation of our series of facilitated discussions about the houses, we will explore the polarity between the third and ninth houses, which represent educational, philosophical and physical travels. The third is said to relate to factual learning, communication and short journeys and the ninth house opposite to philosophy, faith and travel. After introducing the concept of houses in general we will explore how planets in the third and ninth houses operate, as well as what the zodiac sign on the cusp or within the houses (and their 'ruling' planets) tells us about that area of our lives. Come and share your insights and experiences of these two houses in this free-ranging discussion. Suitable for beginners. All are welcome, including those who haven't been to one of our talks or events before, to an two-mile evening walk followed by a meal at The Inn at Fossebridge. The hamlet of Fossebridge is situated on the historic Fosse Way (Stow Road A429), 6 miles north of Cirencester and 11 miles south of Stow-on-the-Wold. The inn is located in a steep dip. Meet at 6pm in the pub car park from where we will do a short circular walk that will take us through part of the Coln Valley. If you can't join us for the walk, meet us in the pub at 7.15pm where you can order an evening meal from their menu. ​There are several vegetarian options, and food allergies and intolerances can be catered for - let the staff know when ordering. You don’t need to be an astrologer to understand that we are living through a pivotal historical moment. But astrology does help us to see the big picture — the weft and weave of history, the patterns that repeat. This month, Christina Rodenbeck will look at the astrology of now and unpick the current astrological tapestry, thread by planetary thread. Christina is a welcome regular speaker at Aquarius Severn. Join the discussion and share your insights into how current events in the world around us are being shaped by the astrology of the times. Christina Rodenbeck was brought up in Cairo and now lives in Oxford, having spent most of the intervening years in London. She writes The Oxford Astrologer blog and has authored many books including Meditation: Simple Routines for Home, Work and Travel, and Buddha In My Pocket. Mercury is the planet of writing and communication. The sign – and to some extent, the house – in which this planet is placed dictates the manner in which our thoughts are synthesised and how we relate to the world. 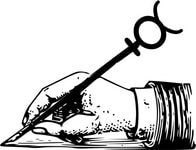 In this evening's forum, Jill Shearer looks at the charts of a number of different types of writer, and reflect on how Mercury functions through different signs. Does your own Mercury sign resonate with one of them ? Joining up the dots ! 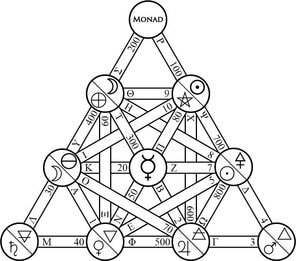 The Tetractys - a number system based on mathematics and geometry - had a huge influence on the mystery teachings of Pythagoras, Plato and beyond. This talk by Jodey Collorick explores the fascinating history of this ancient symbol that has fed into kaballah, tarot, numerology … and astrology. It can inform our modern interpretation of the way planets interact. ​A recorded webinar given by Frank Clifford for The Astrology University, which explains this challenging planetary alignment which many of us will have in our birth charts. Frank looks at how it may express itself in celebrity and audience examples. After the break there will be a discussion facilitated by the committee on how we can best handle our own T-squares, formed when a planet, angle or other body is at the midpoint of an opposition in a birthchart. 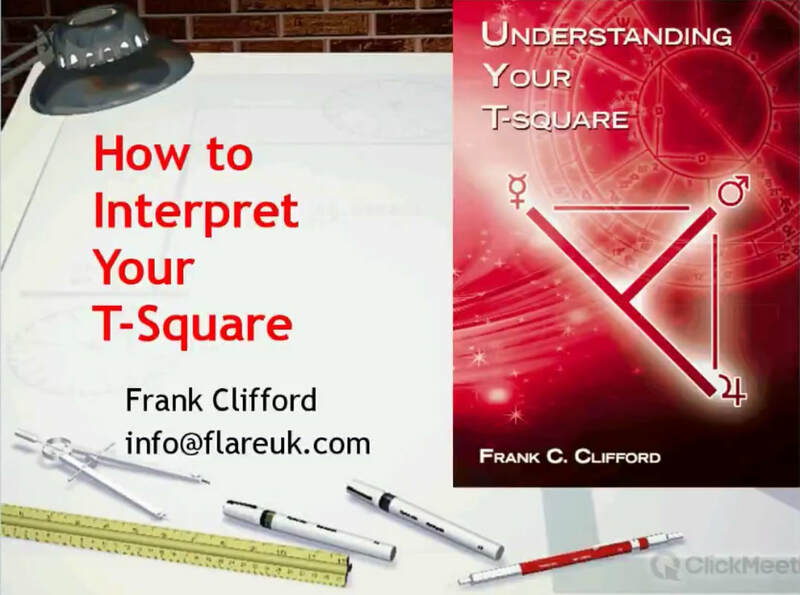 Frank Clifford is author of over a dozen books on astrology and palmistry, and runs The London School of Astrology. 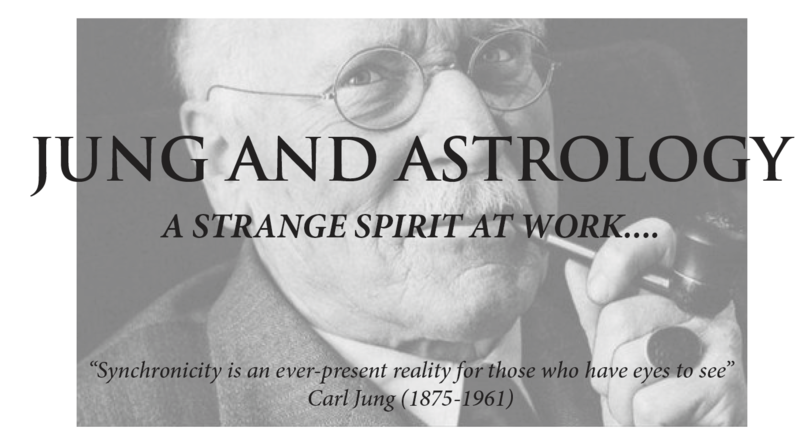 He is also the 2012 winner of The Charles Harvey Award for Exceptional Service to Astrology. Attendees will be given a code for a 10% discount on the purchase of an astrology university lecture. On the evening, the current Jupiter-Uranus opposition at 22-23° Libra-Aries will be in a T-square with Mercury at 23° Capricorn, so it should be a stimulating evening ! ​All are welcome to the Aquarius Severn annual winter Saturnalia for good food, astro-chat and some mystery birthcharts to explore between courses! Enjoy a Sunday roast or food from The Gardeners Arms' vegan, vegetarian or gluten-free menu. As the inn requires our menu choices by 23rd of January, please book early (see below)! Please arrive by 12.30pm. Parking is available at the pub, which is just off the A46, approximately 4 miles east of junction 9 on the M5 (see map below). Leave Cheltenham northwards on the A435, passing the racecourse. Continue on the A435 for approx 8 miles, crossing several roundabouts by-passing Bishops Cleeve Village. At the roundabout with the A46, take the B4077 East towards Toddington/Stow. After approx 3 miles turn left opposite a fuel garage into Alderton Village. Continue straight into the village for less than a mile until you reach the Gardeners Arms on the right-hand side. Our car park entrance is immediately before the pub building. We start the year with a review of 2016 - a year of momentous change - followed by the astrology of the coming twelve months. 2017 sees the 2nd and 3rd in a series of Jupiter-Saturn squares, and the 2nd and 3rd in a series of Jupiter-Uranus oppositions. What challenges will these bring for the UK, the world and us as individuals? Bring your own charts as there may be time to explore how 2017 impacts will impact you personally. We will also take a look at the US presidential inauguration chart, to see how the presidency of Donald J Trump is likely to pan out over the coming four years, and the UK chart to see what challenges and opportunities are in store for the country as we head towards uncharted waters. Join us we look unflinchingly into the future!